This model was originally available on the Flying Pig website – I've updated the artwork and redone the photographs. I've made it available as a free download, there is a link that anyone can use at the end of this post. Print the parts page out onto thin card. 230 gram card does the job nicely. Score along all the dotted lines then carefully cut out the parts. 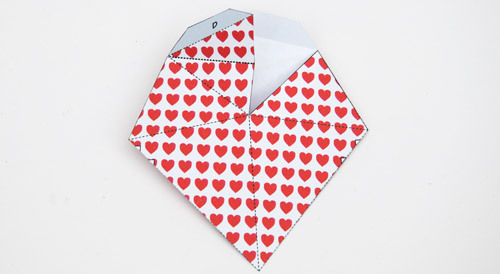 Fold along all the dotted lines to make the heart flexible. 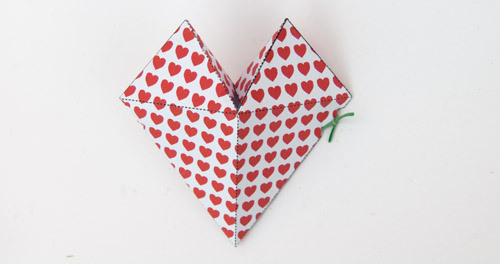 Fold the heart in half and glue down the three flaps (1-3) Make sure than no glue comes out from under the flaps! 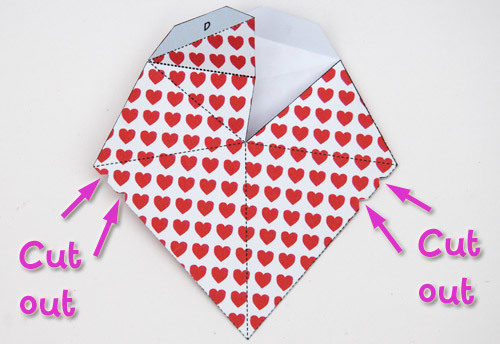 Cut out the four small triangle on either side of the heart. These are holes for the elastic band to thread through. 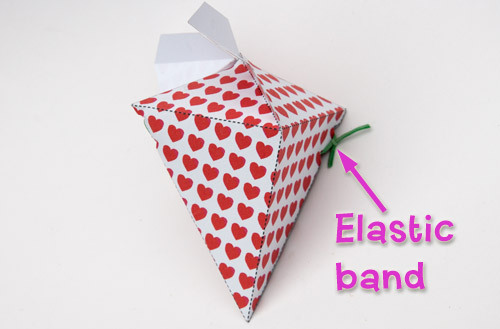 Cut a long thin elastic band so that it makes a single length of elastic. Thread both ends through the holes on one side of the heart and out through the holes on the other side. Tweezers are useful here! Pull them tight enough to close the top of the heart then tie them in a double knot. Fold the last two flaps into place and glue them down making sure that the dotted lines are valley folds. 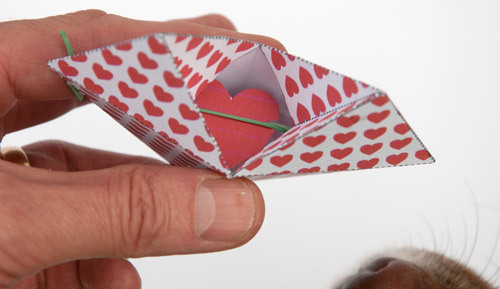 Hold the heart flat until the glue has completely dried. Flutter! 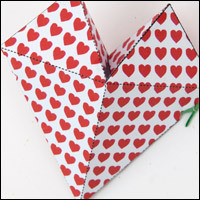 Fold the small heart in half and glue it together. Once the glue has dried carefully cut it out. Last bit! This bit is a little tricky, think of it as a demonstration of love! That's it! Keep the heart flat and slip it inside a book or greeting card.